We would like to say a huge thank you to you all for your kind donations of the Christmas boxes and the huge amount of lovely toys that were too big to fit in the boxes for the Rota Toy Appeal. These were taken by the rotary club to the ‘Tree of Life’ charity in Wythenshawe who support the local community. We are so grateful to you and your families for your kind generosity. 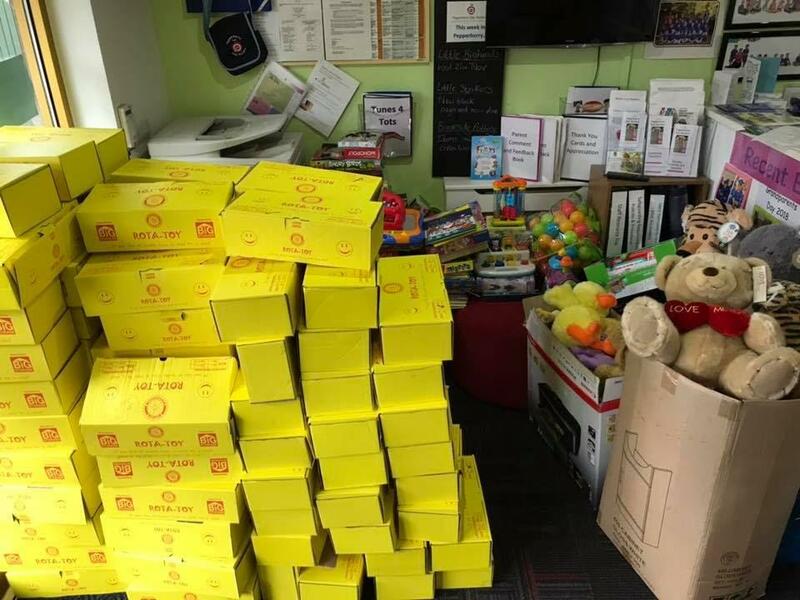 The boxes will now be distributed by the Wilmslow Rotary members to the children and families that are less fortunate than ours just in time for Christmas. 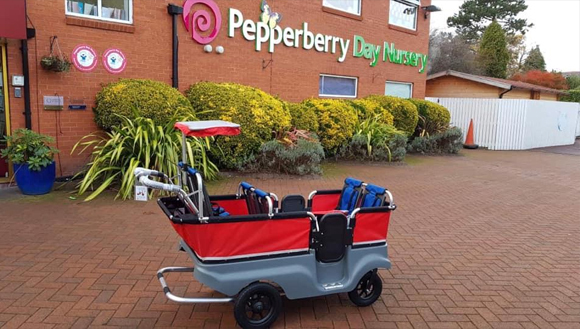 A heartfelt thank you from us all at Pepperberry. We would like to say a massive thank you to everyone who donated money for our sponsored staff sleep over. With the money we raised we purchased our Turtle Bus. The children love to go out on our trips around Wilmslow and we get lots of positive comments from the local community. within the city. The opportunity to assist the University in reaching future challenges and opportunities is, without doubt, a rewarding endeavour.The Board of Governors carries responsibility for ensuring the effective management of the University; working with other members of the Board including the Vice-Chancellor, Chief Executive and other staff.The University is headed by an effective governing body, which is unambiguously and collectively responsible for overseeing the institution’s activities, determining its future direction and fostering an environment in which the University’s mission is achieved and the potential of all learners is maximised. Anthony has accepted the invitation and will be attending his first full board meeting in April this year. We wish Anthony every success in his role as Governor of LJM University. Anthony will, of course, continue to support our Nursery’s development as Managing Director in conjunction with his support of LJMU.